If you are planning on buying a home in the next year, there are a few things you should do before you start looking: decide on the neighborhood that will provide you with good schools and a reasonable commute to work; get your credit reports and confirm all the information is accurate; and learn the difference between pre-qualified and pre-approved mortgage loans. The first thing you need to know is that being pre-qualified for a mortgage does not guarantee you will get one. When a lender sits down to talk to a prospective buyer, they will ask questions about the buyer’s credit, assets, and income. It’s important to note that no verification of income and assets takes place and no credit check is run. Pre-qualification is based solely on the information you provide to the lender, and it does not mean you will secure a loan. When you are pre-approved by a lender, it means your credit check has been approved and your income and assets have been verified. 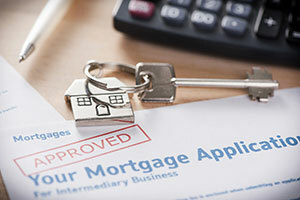 The lender has made the decision to lend you a certain amount of money to purchase a home. The real estate agent and the seller know you can buy the house if you like it. A pre-approval letter from the lender defines how large a mortgage you are approved for. There is usually a time frame, such as 120 days, to use the pre-approval for the purchase of a home. At least two years of W-2 forms, several weeks of current pay stubs that provide year-to-date income, two most recent tax returns, plus, proof of bonuses, alimony, and any other earned money. Bank and investment account statements, which provide proof of assets that can cover the down payment and closing costs. If you receive money from family to use for your down payment, you will need a gift letter stating no loan is involved. A credit score of 740 or higher to get the lowest interest rates. If your score is lower, you will have to pay more in interest or possibly make a larger down payment. FHA loans require a minimum of a 620 credit score. A copy of your driver’s license and Social Security number. You will also have to sign a release form allowing the lender to pull your credit report. You may be asked to provide additional paperwork if you have any specific circumstances that can affect your loan. A pre-approval letter is what you need to get before you go house shopping. Do your preparation work before approaching a lender. Be cooperative, answer all the questions you are asked, and provide requested documents promptly. Once you have your pre-approval, it’s time to find your new home. 1-626-252-0839 Sell While the Market is HOTT! What’s Your Home Worth? Find out Now!